Earlier this year, it was reported that Guns & Roses front man Axl Rose would finish the last 10 dates on the 2016 AC/DC North American Tour. 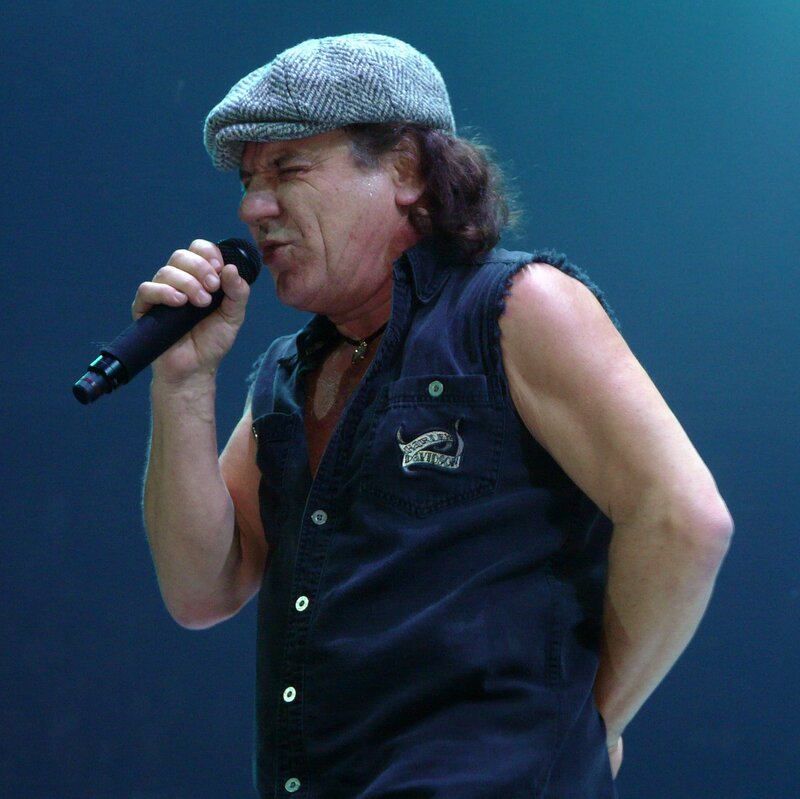 Earlier today, Brian Johnson, AC/DC’s frontman for the past 36 years, released a statement shedding further light on the situation. It seems his hearing has been in a precarious state for some time, and he was finally advised by physicians that continued touring would deafen him entirely. This sad development underscores the need to properly monitor one’s hearing at loud music events, both onstage and in the audience. Damage is cumulative, and over time the continued exposure to levels of sound that exceed the safe decibel range will erode hearing. Other long-term rockers have suffered hearing loss as well. Among the most-famous examples is Who guitarist Pete Townsend, whose battles with tinnitus have forced him to limit his touring and severely manage his on-stage sound mixes. 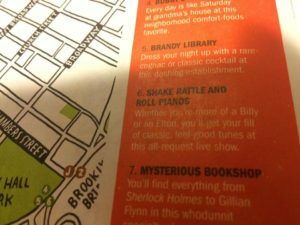 Tribeca Film Festival Guide – Shake Rattle & Roll Dueling Pianos!!! 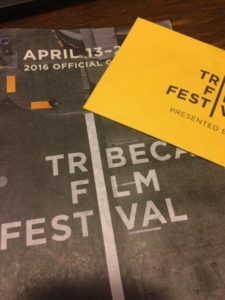 Our neighborhood pals at the Tribeca Film Festival just gave us a shout-out in their festival guide as one of the things to do during the festival! So, all you movie lovers – come get some rock n roll! Guess it helps to have Robert DeNiro as a client! Dueling Pianos Video of the Week – Conga Line!!! From our SOLD OUT show at The Cellar @ 22 Warren St., NYC, Sean “Chops” Rainey leads a bachelorette conga-line with Justin Timberlake’s SEXYBACK!!! 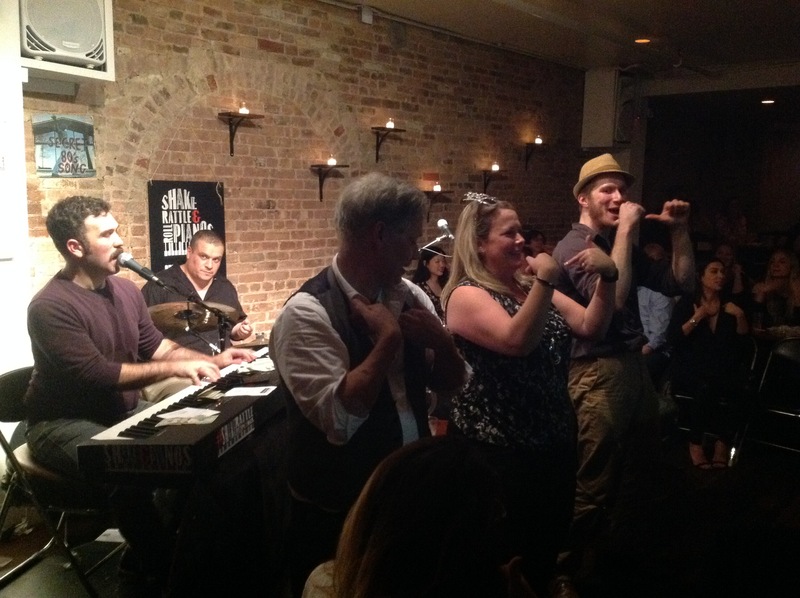 April 29th – our next Friday Night NYC Dueling Pianos show!!! Our Saturday night Dueling Pianos shows in NYC have been sold out for month after month. 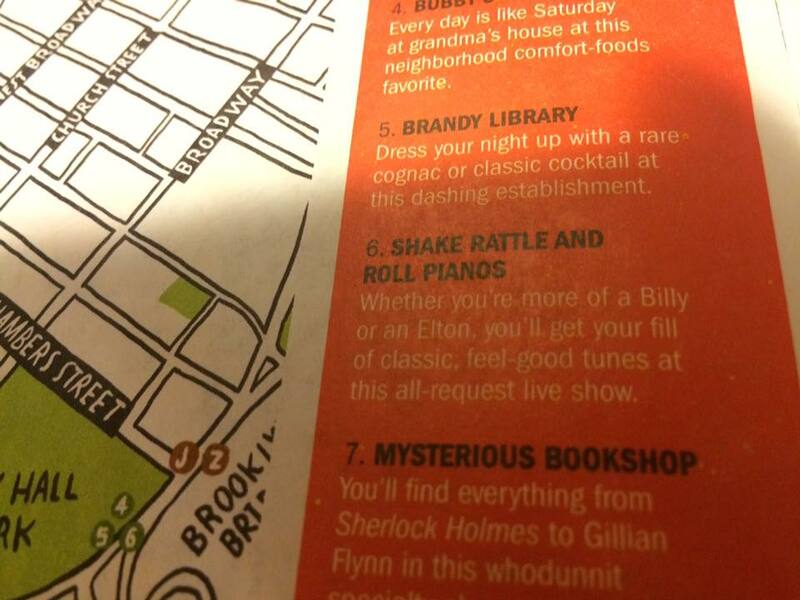 We’ve been turning away bigger crowds every week, ever since TIME OUT NY picked our show as one of their THINGS TO DO on a Saturday Night. So, what’s a party-seeking New Yorker to do??? Come visit us on Friday! Specifically, Friday April 29th. And we’ll sweeten the deal – use the promo code TRIBECA for 30% off your tickets – but only while supplies last! Dueling Pianos Video of the Week – What I’d Say!!! From our SOLD OUT show at The Cellar @ 22 Warren St., NYC, Sean “Chops” Rainey gets some bachelorettes involved in WHAT I’D SAY, and the way Ray Charles himself would’ve played it! Dueling Pianos Video of the Week – You Lost That Lovin’ Feeling! From our SOLD OUT show at The Cellar @ 22 Warren St., NYC, Frankie Turner and Matt Tobin celebrate a birthday centerstage with YOU LOST THAT LOVIN’ FEELING! As you may recall, earlier this year we wrote about the case of NYC singer Collette McLafferty, who was sued for ten million dollars for allegedly being too ugly and mediocre, according to plaintiff Charles Bonfante. Last week, Judge Arthur Pitts dismissed the “frivolous” lawsuit. McLafferty is now seeking compensation and reimbursement for her legal expenses from Bonfante. FYI – when not in court, Judge Pitts presides on another bench – as an amateur pianist on Long Island! Now THAT’S a judge of character! 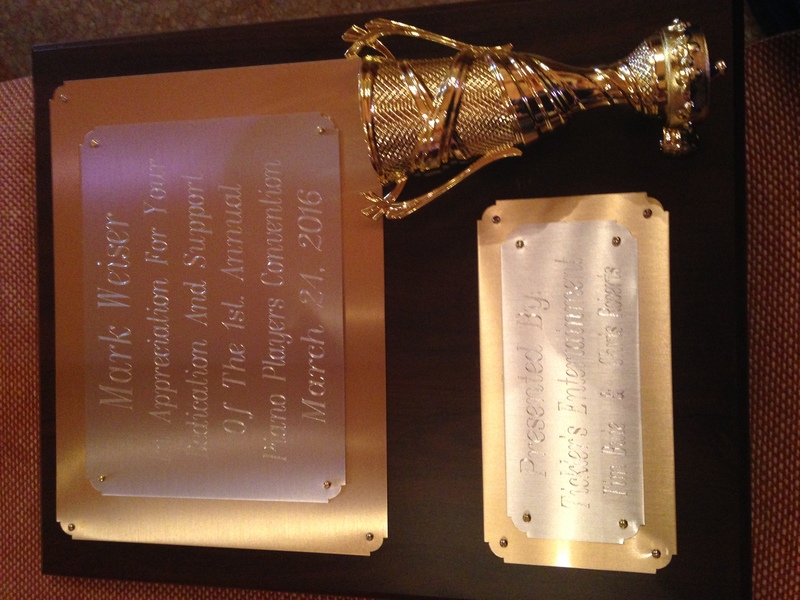 1st Ever Piano Bar Convention! This past week, was the first ever gathering of Piano Bar Performers, hosted by Tim Buie and Ticklers Dueling Piano bar in New Orleans. Dozens of international performers met over four days, for panels, performances, and a parade through the French Quarter, among the notable events. The event was so successful, that plans are already underway for the next convention, in 2017, to be held here in New York City. Hopefully, the excellent work of this first event will be the seed that inspires many future get-togethers, for performers and fans alike. 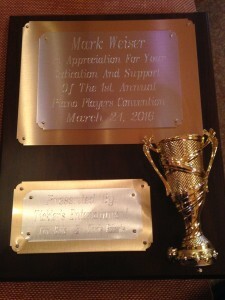 At the convention, Shake Rattle & Roll Pianos was honored with an award for our work on preparing and helping develop the program. The video above, was shot at Ticklers, with four of the phenomenal entertainers from the convention…ENJOY!